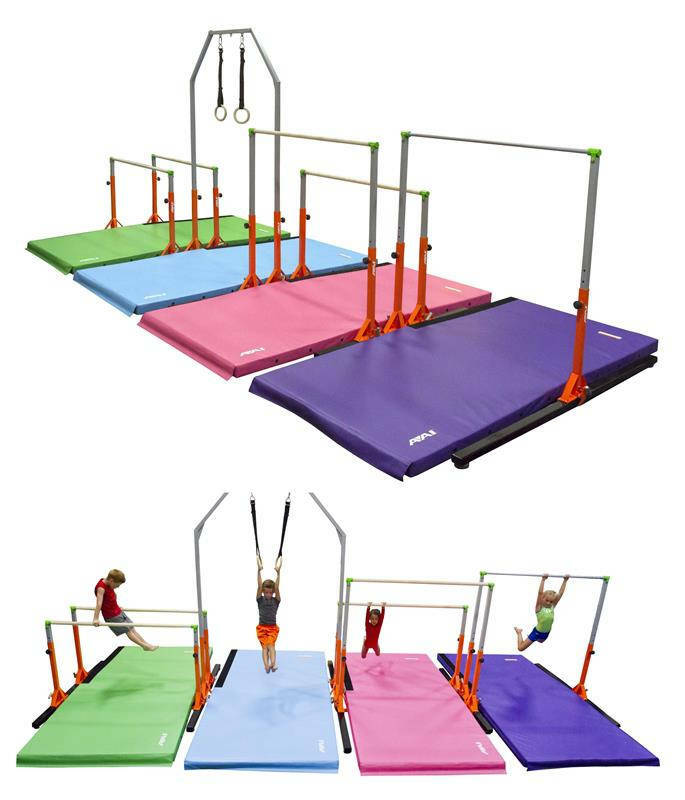 Suggested ages: 2-12 years with a weight limit of 175 lbs. 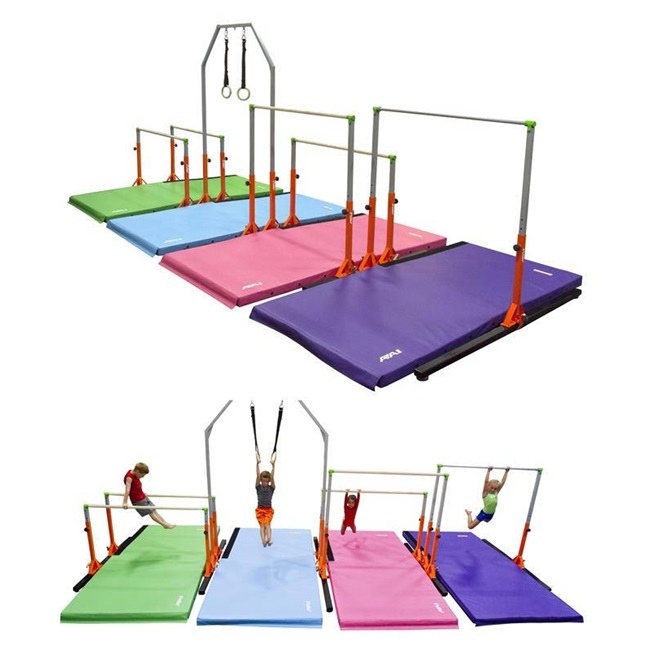 Includes Rings, Uneven Bars, High Bar (steel), and Parallel Bars. Also includes four multi-colored 5' x 10' x 4" skill cushions. Separate component pieces can be interchanged in your custom circuit. 16' 8" x 16' x 8" (5.1 x 5.1.) sq floor space required.